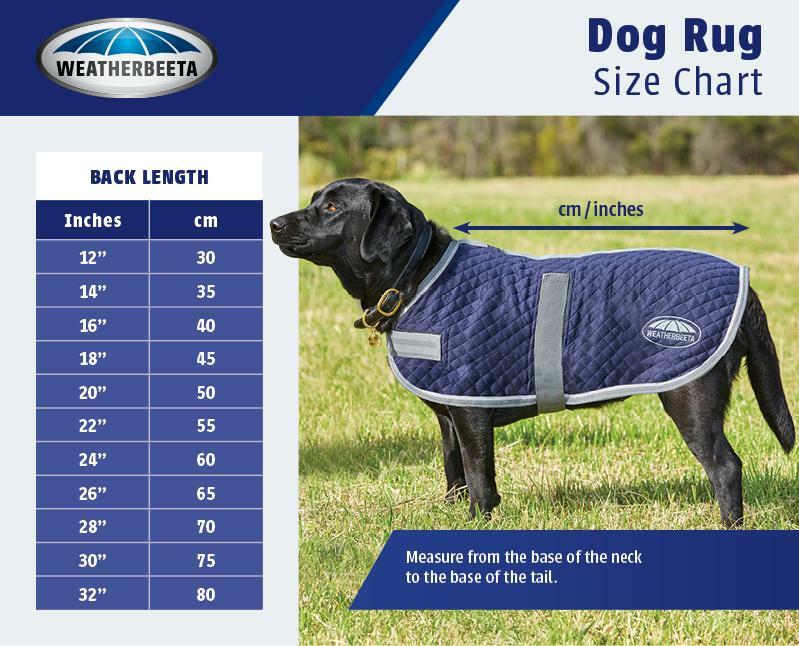 Due to size variances within each breed WeatherBeeta strongly recommande fortement de mesurer chaque chien avant d'acheter un manteau. Étape 1: Place a measuring tape at the base of the neck and measure along the spine and stop at the base of the tail. Step 2: The measurement in centimetres corresponds to the dog coat size, which are sized in 5cm increments. 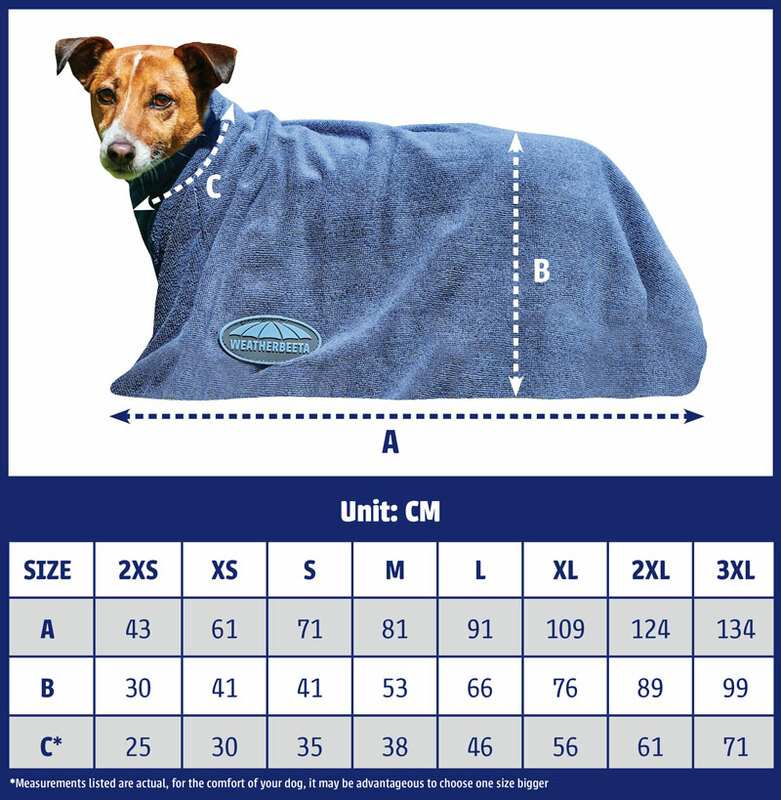 If your dog measures between sizes, size up if your dog is on the rounder or thicker side, et choisissez une petite taille si il ou elle est plus mince. At WeatherBeeta, we have exciting news, products and offers we hope you’d like to hear about. We will treat your data with respect and will never sell it to 3rd parties. You can find details in our politique de confidentialité. Vous pouvez vous désabonner à tout moment en cliquant sur les liens de désabonnement dans l'un de nos e-mails.